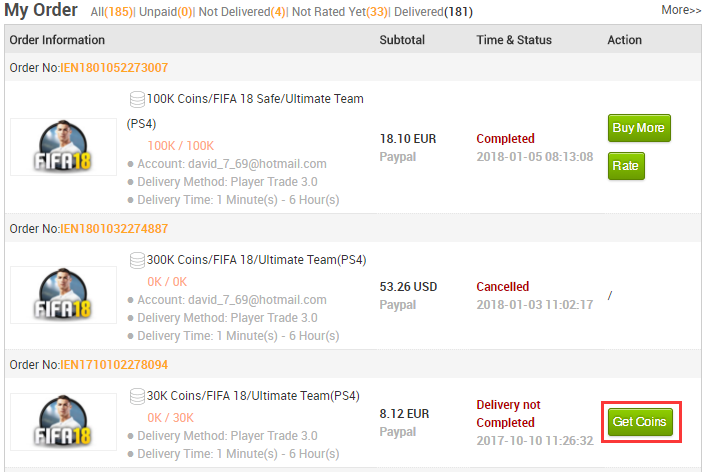 How to get the FIFA Coins link? 1. Enter the member center, choose “My Orders”, then click the“Get Coins” Button on right of your order. 2. Enter the member center, choose “Messages”and click on the order message, then click on the delivery link. 3. 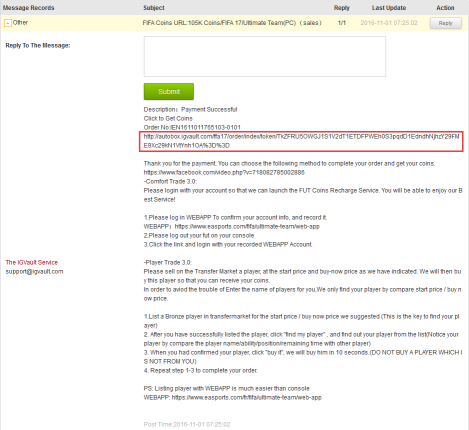 After your purchase, we will send you a email to confirm your purchase. 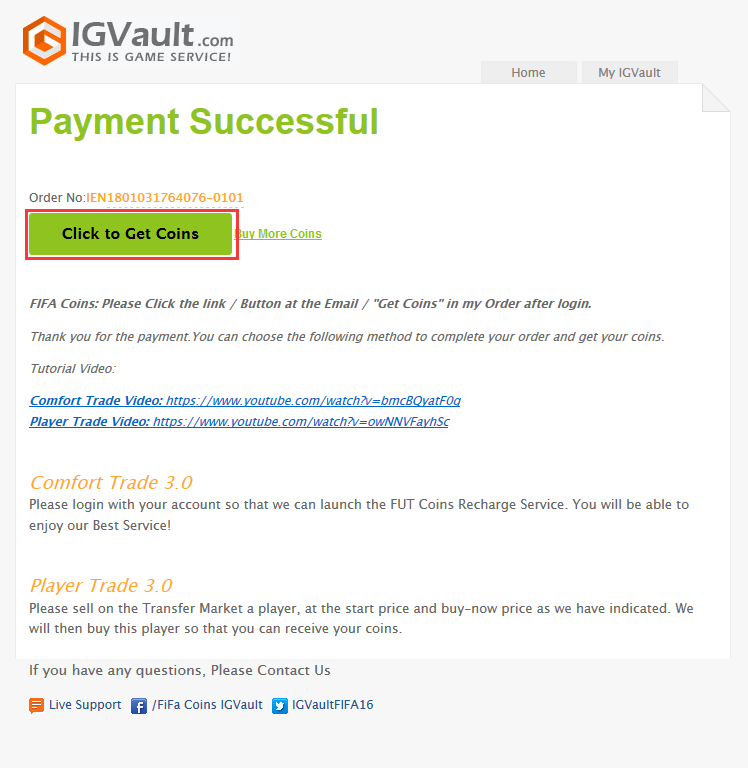 You can click the button “Click to get coins”to open the link of delivery.